Apply for the current $1,000 Undergraduate Secular Student Volunteerism Scholarship at University of Central Florida 2017. 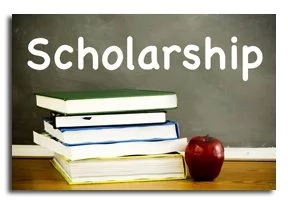 See the scholarship details, eligibility and how to apply. Must have at least 15 service hours documented during the semester at a 501©3 charitable organization and include a description of volunteer activity (such as “sorted food donations” or “hosted registration table for cancer walker”). Hours must be documented in Knigh Connect. Note1: Essays may be shared by local Humanist blogs and by national organizations such as the Foundation Beyond Belief. Author will have the option to remain anonymous in the public postings. Note3: This is intended as a book scholarship but will be paid through Financial Aid. Graduating seniors will still receive the award based upon their last term of attendance. Have you completed at least 15 service hours that are documented in KnightConnect during the Fall 2017 Semester? If possible, please upload verification of at least 15 service hours from KnightConnect. Eligible applicants should click here to enroll.